The tentative schedule for the 2009 Boston Skillshare is now up! My workshop "Home-Brewing Kombucha" will be on Sunday, April 19th from 3:45 - 5:15 pm. Keith Person's workshop "Kombucha and More" is scheduled for Saturday, April 18th from 3:45 - 5:15 pm. And Olivia Caffrey and Evan Rooney will discuss brewing beer in their workshop "Home-Brew-it-Yourself" on Saturday, April 18th from 2:05 - 3:35 pm. There are many other great workshops scheduled as well, as listed here. There is a $3-$10 sliding scale donation, but this includes attending an unlimited number of workshops for the whole weekend, and a free vegan breakfast and lunch for skillshare attendees! The 2009 Boston Skillshare will be located at the MIT Strata Center (32 Vassar St., Cambridge, MA) April 18th & 19th, from 10 am - 7 pm. Kombucha Mushrooms Come in All Shapes, Sizes, and Colors! According to Happy Herbalist, a cream colored, 1/8 - 1/4 inch thick baby is normal and healthy. Thin cultures may be attributed to cold brewing temperatures (2) and other factors (3). (One would ideally brew between 75-85°F at a constant temperature). During the winter, it may help to add more starter tea (~15-20%, vs. the usual 10%) to help kick start the fermentation process (2). Remember- don't discriminate! Even incompletely formed mushrooms can be perfectly good to use! In the past, I've had kombucha mushrooms with huge holes in them still ferment the tea well and create very healthy babies. Mushrooms on the thin side may not be as strong as thick ones. 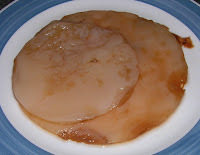 In this case, you might want to team up a thin mushroom with another SCOBY, or hopefully your thin SCOBY can grow a thicker baby so you'll be all set. 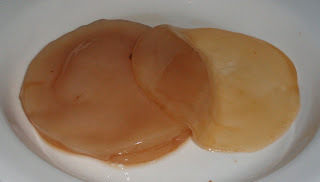 When brewing at home, it is common for SCOBYs of uneven thickness or varying shades to form, due to low or varying temperatures, and sometimes due to inconsistent environments and brewing cycles. So if this happens to you, don't worry! It's perfectly normal! 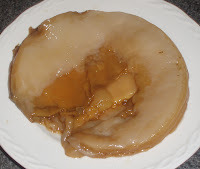 The size of your kombucha mushroom will depend on the size and shape of your brewing container. 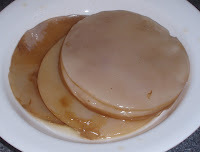 Your SCOBY does not have to lie perfectly near the surface as it ferments- I've placed larger mushrooms inside smaller brewing containers, and they fermented the tea without a problem! 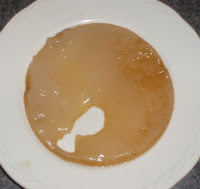 Additionally, although Kombucha mushrooms start out cream colored, they darken over time (4), which could happen due to staining by the tea (5). And eventually, SCOBYs age, stop creating babies, and lose their ability to ferment the tea, and you will need to continue brewing with another mushroom. 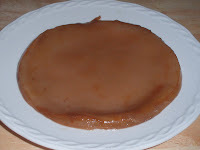 While some say that SCOBYs last for 8 batches, others say that they last for 3-4 months (5). *Note- all of the mushrooms in the photos within this post are healthy and good to brew with!